**Update: It has been confirmed by multiple sources that Sheikh Isa Qassim has been admitted to a private hospital for emergency medical care. He remains in serious condition, and at risk of forced deportation due to the government’s decision to arbitrarily revoke his citizenship. On Sunday 26 November, doctors visited the home of Sheikh Isa Qassim, the spiritual leader of Bahrain’s Shia Muslim population, to assess the state of his health. He was found to be in constant pain and in need of emergency surgery due. After having his citizenship revoked in June 2016, Sheikh Qassim had been confined to his home under de facto house arrest, and has been wary of seeking health care for fear of being deported. However, in the past couple of days, the Sheikh’s health has worsened sharply, leading to the visit from doctors. In June 2016, Bahraini authorities administratively revoked Sheikh Isa Qassim’s citizenship without any legal proceedings. Then, in May 2017, a court charged him in absentia with fraud stemming from the collection of khums – tithes paid by Shia that are used by the community to take care of the poor and disadvantaged. At the conclusion of the trial, the court convicted Sheikh Qassim of his charges and sentenced him to one year in prison while also fining him over $250,000, although he was not incarcerated. Sheikh Qassim, who is over 70-years-old, suffers from a number of health issues. He is reportedly in continuous pain and excreting blood, which independent doctors have attributed to a groin hernia. He also suffers from high blood pressure, diabetes, and a form of heart disease. Due to his poor health, his family has pleaded with officials to have non-government healthcare professionals allowed to visit him and assess his health in his home in the village of Diraz. The only treatment for Sheikh Qassim’s condition is immediate surgery, but in order to receive the surgery, he must leave his house and risk potential deportation. Diraz has been under a de facto siege since the government revoked Sheikh Qassim’s citizenship in June 2016, when his supporters rallied to his side in a mass, peaceful sit-in to protect him from deportation. The government responded by erecting barriers around the village and restricting access to residents only. Then, on 21 December 2016, security forces attacked the peaceful protesters, surrounding them with at least a dozen police vehicles and firing tear gas cans into the demonstrators. On 26 January 2017, security forces used live ammunition against the protesters, fatally shooting 18-year-old Mustafa Hamdan in the head. More recently, on 23 May 2017, security forces again attacked the protesters with tear gas and shotguns before denying dozens of wounded civilians access to hospitals and medical care. This latest attack resulted in five dead and at least 286 arrested, making it the bloodiest security force action since before 2011. The government’s persecution and judicial harassment of Shia clerics is part of Bahrain’s targeting of important Shia figures and broader sectarian discrimination. ADHRB has documented this discrimination in two reports, noting that government discrimination extends into the media, cultural, political, economic, and religious facets of Bahraini society. The United Nation’s (UN) independent experts have also taken note of Bahrain’s systematic discrimination against its Shia majority population. 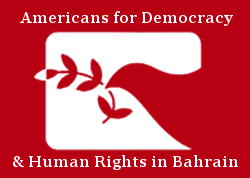 Bahrain must address the widespread international condemnation of its discriminatory policies and seriously reform its legal system in response to concerns by the US and UN. The government must additionally halt its practice of arbitrarily and administratively revoking the citizenship of prominent Bahraini religious and political figures. It must further drop all charges against Sheikh Isa Qassim, reinstate his citizenship, lift his de facto house arrest, and allow him full access to adequate health care.